Wrestling Revolution 3D – Games for Android 2018 – Free download. Wrestling Revolution 3D – Get ready to wrestle! Here is a game for all the wrestling fans out there. 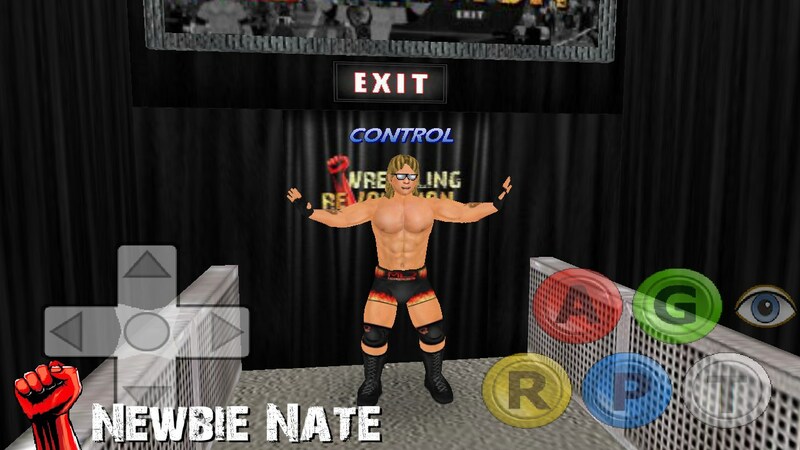 Wrestling Revolution 3D is a game that attempts to bring realistic wrestling gameplay to Android devices. In terms of gameplay the game has managed to add a lot of depth to the wrestling matches. Features range from entrances and boasting animations to being able to have managers at your side. Combat is nice and entertaining; however something feels a bit wrong about the way characters move. Most animations are decent but feel greatly unfinished. There are quite a lot of combat moves that can be performed by combining the available buttons with the virtual D-Pad and even a few more special moves that are performed by using the environment. The graphics are decent; however some lower end devices may see stutters and have framerate issues, requiring the reduction of some graphic elements like crowd detail, number of displayed characters etc. Overall Wrestling Revolution 3D for Android is a game full of potential; however it gives off the feeling of an extremely unfinished game. The Graphics and animations simply do not feel finished and there are more than a few gameplay issues, like getting stuck in the ropes of the ring, attacks not connecting, etc., which may frustrate and annoy users. Once users get used to the overall feeling of the game and manage to disregard its issues, it starts becoming great fun. Grabbing your opponent and performing a body slam before a crowd of onlookers just has a great feel to it. Do you require assistance installing it? You can use the "Free Version" link found above the review and it will redirect you to the appropriate Google Play page where you can install. Make sure you are logged in with the same Google account on your PC and your Android device before attempting a remote installation from the PC. Alternatively you can input or scan the QR code, also provided above the review, into your mobile device and it will direct you to the download page.